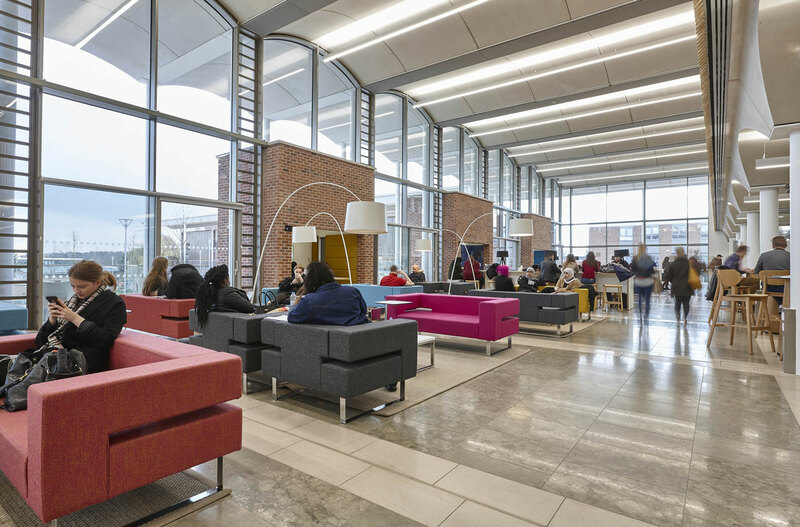 This architectural photographer London shoot features the multi award winning £7 million scheme to create a social and study hub for Nottingham Trent University – the Pavilion. 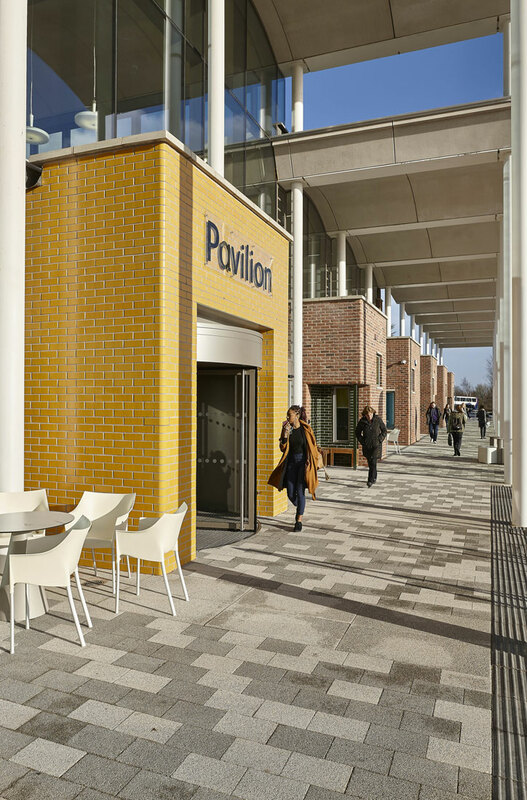 There are two key structures, the Pavilion providing a double height meeting point and self study centre. 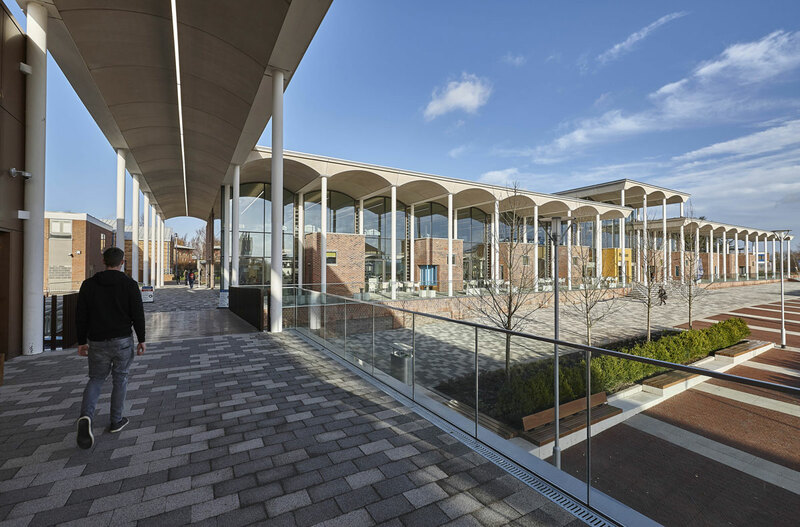 The Pavilion is linked to the second key structure, the teaching block by an arched walkway. 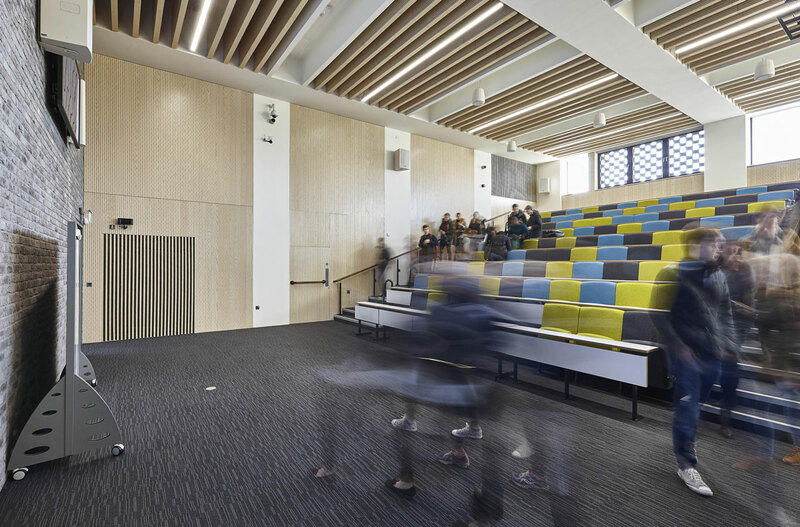 The new teaching block provides triple auditorium teaching spaces with additional seminar and teaching rooms. 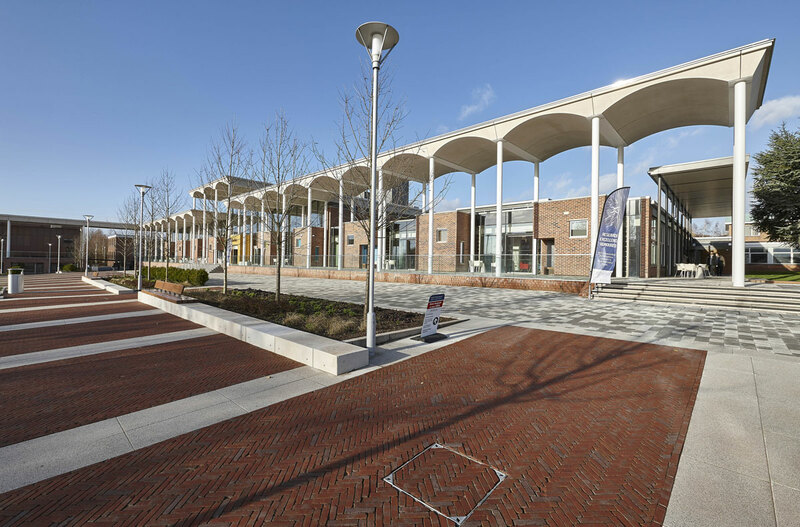 The new buildings have become the centre of the campus and are complemented by a wide paved plaza. 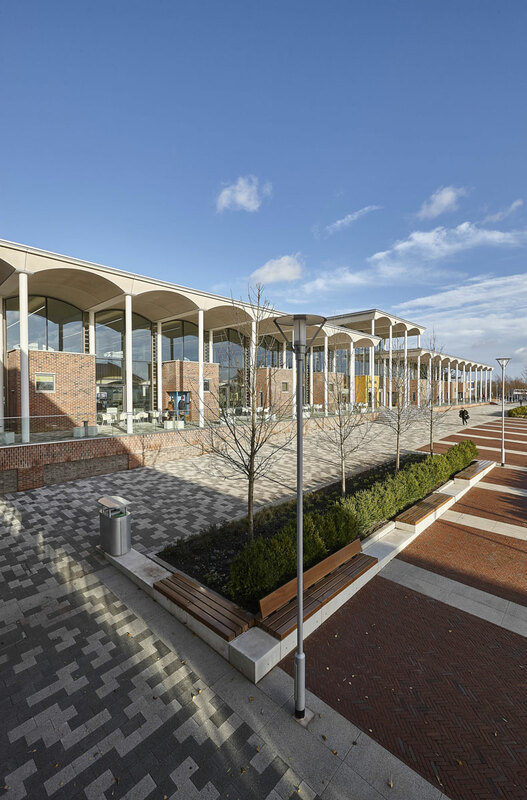 The 2,000m2 Pavilion building features a glazed facade with a covered terrace and internal mezzanine social/self study area with cafe and coffee bar. 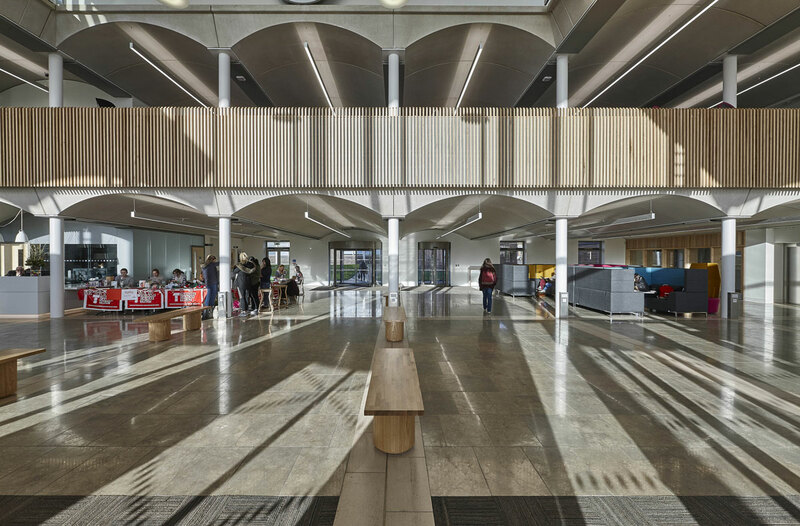 The teaching block has a sheet copper cladding to outer surfaces of the structure. 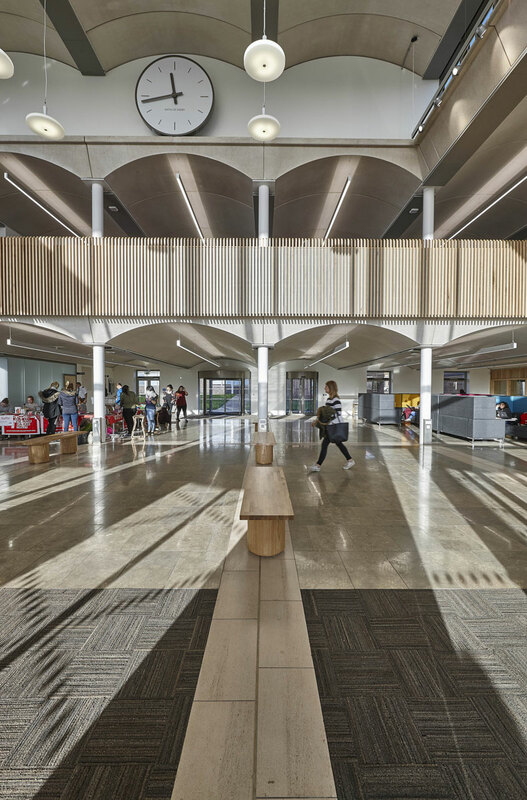 The building provides three lecture theatres, two seminar rooms and eight teaching rooms with high ceilings and glazed wall panels to maximise light gain. 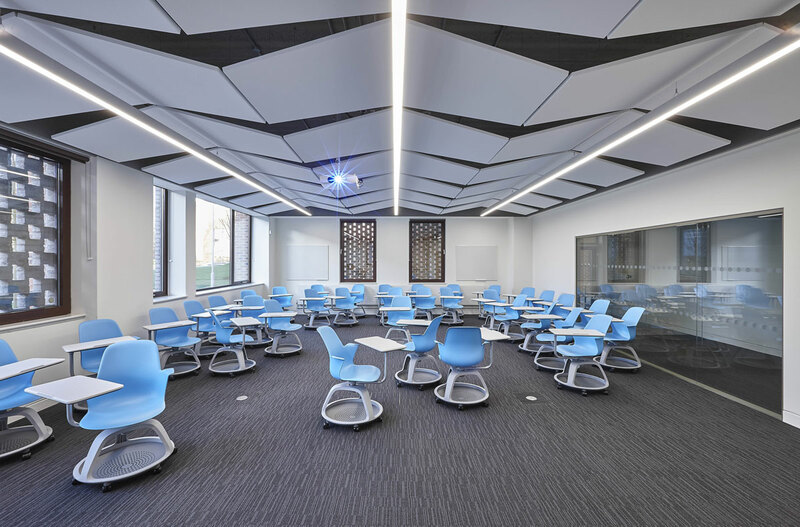 Ceilings in both the Pavilion and the lecture spaces in the teaching block have had noise control materials fitted. 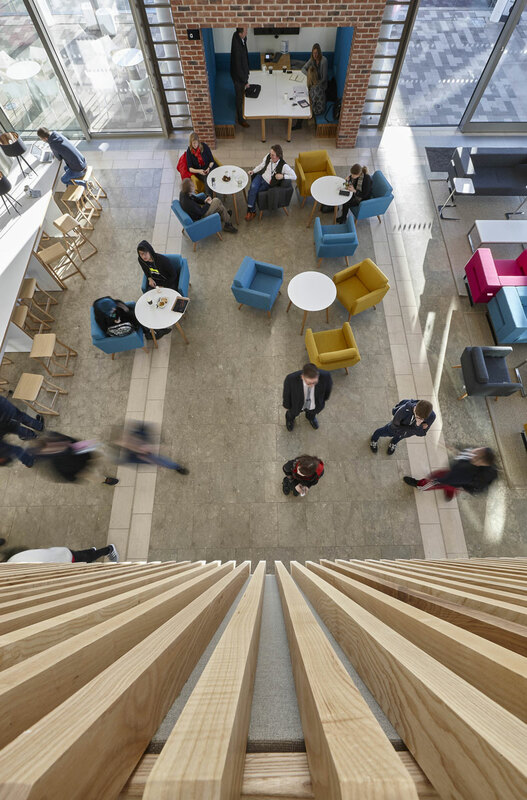 Creating images as an architectural photographer London requires the involvement of people to create a sense of action and motion. In this case students were happy to be featured within the images using the various spaces.